UP SI Answer Key and Question Paper PDF Download - Get Here online UP Police Sub Inspector Exam Question Paper and Answer key released by UP Police. Uttar Pradesh Police Recruitment Board (UPPPRB) has Released the Answer key and Question Paper of SI written examination Conducted by UP Police Department. 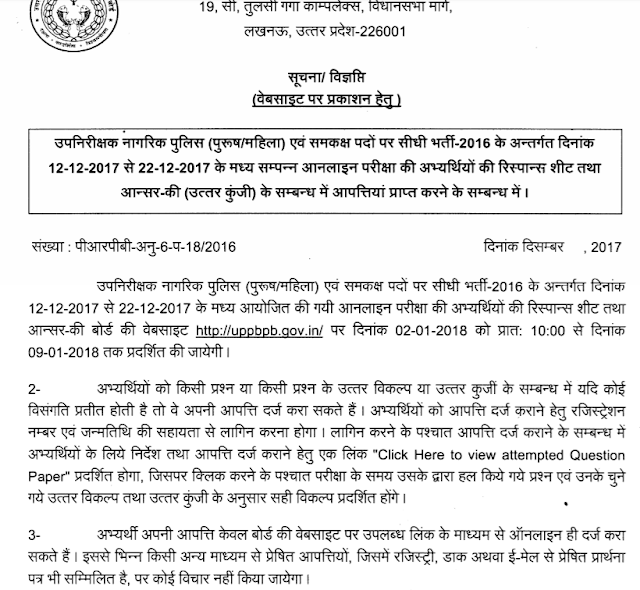 The online examination for UP SI Sub-Inspector – UP Civil Police, UP Police Platoon Commander (PAC) and UP Police Fire Officers posts Conducted from 12th December to 22nd December 2017.